Maserati Car Manuals PDF & Wiring Diagrams above the page. Like most Italian car makers, a Maserati was a family business, born out of pure passion for cars and driving. Maserati brothers, who have joined forces to create a company - Alfieri, Bindo, Carlo, Eltore, Ernesto and by Mario, were all in some way connected with the races and cars. December 1, 1914 Maserati was established in the city of Bologna, Italy, and soon started to build their own race cars. Three of the Maserati brothers built race cars for Diatto, but in 1926 production was suspended, and they decided to make their own models. Maserati cars quickly added in the power cylinder 4 to 6, 8 and then finally 16 (two eight cylinder engine mounted in parallel). When he died in 1932, Alfieri Maserati, the other brothers continued to build common cause and more and more new cars. Five years later, in 1937, they sold their shares in the company Adolfo Orsi, but continued to be faithful to stay and work in the company. One of the most important changes that has brought Adolfo Orsi - this company moving in the Modena, Italy, where it still operates to this day. In 1939 Maserati wins the race in the Indianapolis 500 and in the next two years too. Their efforts were interrupted by the war, during which their plan was to build a town V16 car for Benito Mussolini that would be faster than a Porsche (Manuals page) made for Hitler. After the war, production resumed model A6, a being designed for circuit racing. The next step for the company was the creation of a team to create competition in circuit racing Ferrari and Alfa Romeo. To achieve this goal were needed new engines and chassis. In the end, the team was formed, to create the most successful Maserati A6GCM car. However, Juan-Miguel Fangio and other drivers, a Maserati to win the World Cup in 1957. Maserati will no longer take part in the racing circuit, however, continued to build cars for the fans drive. In parallel, the company decided to take cars for the city. The first model in this class was the Maserati 3500 GT coupe, which aluminum body and chassis was installed taken from Maserati 5000. In the 60's several new models were released: Vignale in 1962, Mistral Coupe in 1963, Spider in 1964 and Ghibli coupe in 1967. Came in 1968, the company was about to change hands yet again, this time it was the French Citroen. Overall, it was a good deal, because Citroen took from Maserati engine technology, hydraulics and Maserati from Citroen (PDF Manuals page). In the 70's came off the assembly line, Merak and Khamsin. When, in the mid-70s came the fuel crisis Citroen bankrupt. 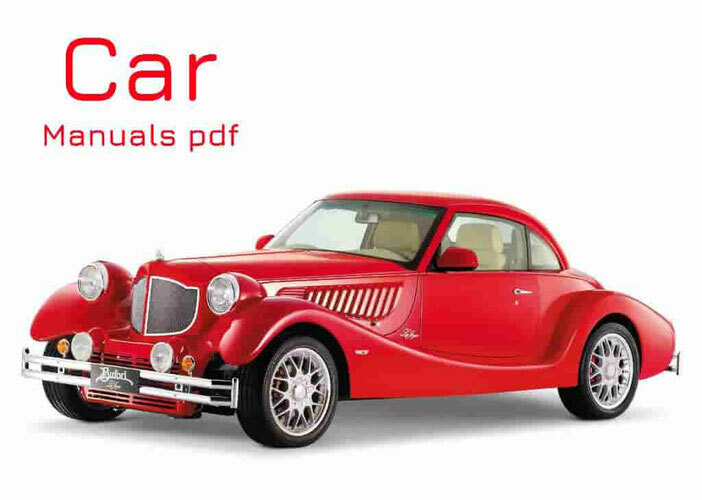 Maserati was passed to a new team Peugeot Citroen PSA (Manuals PDF page), which announced the Italian company bankrupt. Only the company has managed to survive thanks to government aid. In 1975, the company has been brought to life by the former racing driver Alessandro de Tomaso, who ran a group of companies Benelli. But only in 1993, thanks to Fiat (Service Manuals page), Maserati returned to its former glory. Fiat bought the company in 1993, and made a very large investment. In 1999 it was born the GT 3200, a two-door coupe, powered by a turbocharged 3.2 dual class L. The gearbox was designed and manufactured by Ferrari, which owned 50% Maserati (despite the fact that Ferrari (Manuals page) managed by Fiat). Ferrari decided to make cars Maserati luxury brand. In 2005, Fiat bought Maserati from the Ferrari, after the manufacturer from Modena made a huge investment in a completely new plant, which is to this day the most technologically advanced.